Anand Kumar’s story is typical of a change that Oxford Economics, a leading macroeconomic research group, took note of: Delhi edged out Mumbai in the group’s ranking of the top 50 metros. In 2015, Mumbai (including Navi Mumbai, Thane, Vasai-Virar, Bhiwandi and Panvel) had a GDP of $368 billion; and Delhi NCR (including Gurgaon, Faridabad, Noida and Ghaziabad) was ahead by $2 billion with a GDP of $370 billion. 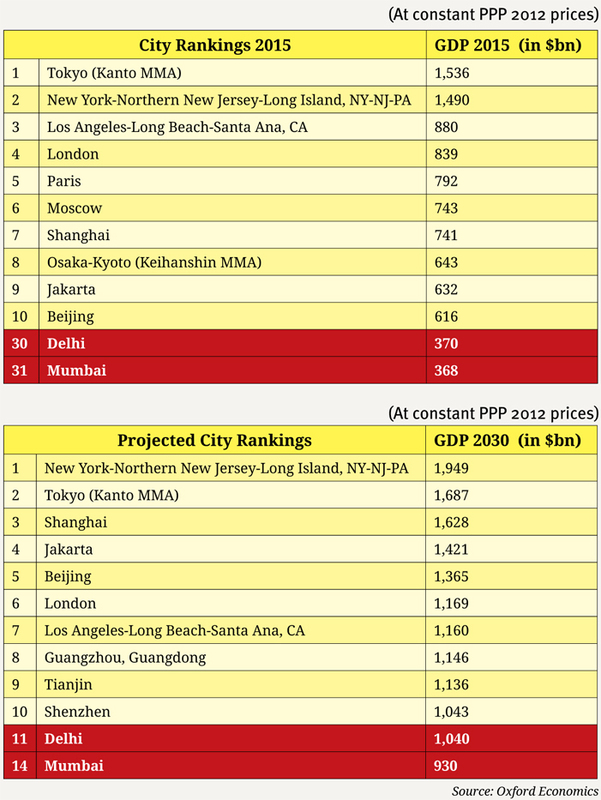 Ranking-wise Mumbai was 31st, and Delhi 30th. Moreover, Oxford Economics forecasts that in 2030, Delhi’s GDP will be $1,040 billion and that of Mumbai $930 billion. Currently, it’s a small difference: $2 billion. As is to be expected, Maharashtra chief minister Devendra Fadnavis and other politicians refuse to make much of it. But the projection for 2030 is a confirmation of what has long been perceived: the buzz is no longer in Mumbai, but in Delhi. It’s easy to play the city versus city game and line up lovers and haters for each side. That would prove nothing. But it’s certainly worth examining how Bombay (now Mumbai) – celebrated in song by Bollywood from the forties right down to the nineties as the place where the innovator, the entrepreneur, the hustler, the grifter and the humble job-seeker came to realise their dreams – lost its place to Delhi, which till the early nineties was the sleepy capital where things moved at the molasses pace of its government offices. Locked in by three states – Haryana, Uttar Pradesh and Rajasthan – Delhi could have stymied itself. But in 1991, the National Capital Region (NCR) was created by a constitutional amendment. With later inclusions of 2013, NCR now comprises 22 districts besides Delhi itself, which is designated as the National Capital Territory. With more room came growth, concentrated today in Gurgaon, Noida, Faridabad and Ghaziabad. Policy changes, downsizing of government, tax incentives have all contributed to the growth of the region. According to the NCR Planning Board’s economic profile of the region, the GDP growth rate in the NCR from 2004-05 to 2009-10 was 11.2 percent, 2.5 percentage points more than the national GDP growth rate of 8.7 percent. 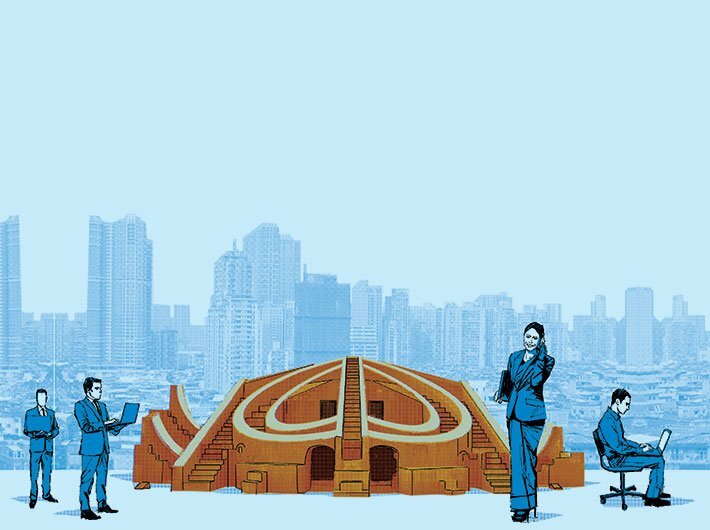 Also, in 2009-10, the NCR accounted for 7.1 percent (Rs 3,193.4 billion) of the national GDP (Rs 45,160.7 billion). Haryana seems to have reaped major benefits of this growth. According to the state’s department of economic and statistical analysis, the highest per capita income in the state is in Gurgaon, part of the NCR. It’s as high as Rs 2,29,208. Faridabad follows with Rs 1,06,896; Panipat with Rs 79,047; and Rewari, still largely agricultural, with Rs 63,075. Gurgaon typifies the growth story of Delhi NCR. Real estate has contributed hugely to it, as well as the information technology and finance sectors. Manufacturing facilities – such as the Maruti car-making unit in Manesar, and the many industrial estates nearby – have also played an important role. In Noida, some of the biggest names in the IT sector – IBM, TCS, Wipro, HCL and Adobe – have set up shop. Many media houses have moved out of Delhi to conduct business from Noida. In Ghaziabad and Faridabad, it’s largely small- and medium-scale industries that have thrived. For the lakhs of people who seek employment here, real estate is available relatively cheap, compared to the high prices in Mumbai or even in Delhi city. Delhi’s biggest advantage, perhaps, has been the availability of vast tracts of land – for business, industry and housing. Mumbai, in contrast, has remained cramped. The NCR covers 34,144 sq km, and infrastructure is good. Says SP Pathak, commissioner of planning at the Delhi Development Authority (DDA), “Perhaps, what makes NCR a more attractive destination to do business is the availability of space, and this has led to industry setting up shop here. This region has outpaced Mumbai in terms of physical infrastructure.” Mumbai, in contrast, is packed tight, commutes are extremely tedious, and infrastructure has not improved. The Greater Noida region, which forms the heart of the NCR in Uttar Pradesh, has 19 percent land reserved for industrial use. Haryana and Uttar Pradesh have responded to the needs of industry, attracting huge investment. Gurgaon, once a sleepy, agricultural town, now has the offices of several Fortune 500 firms. From April 2000 to March 2015, the NCR attracted approximately $49.410 billion in foreign direct investment (FDI), over 20 percent of India’s total FDI during the period. At the same time, Maharashtra as a whole had attracted 29 percent of FDI in India, followed by Tamil Nadu at seven percent and Karnataka at six percent. “Gurgaon has lots of space. Besides, it has good air-connectivity. A large number of banking, financial services and insurance entities are also enhancing their presence in NCR,” says Dr Jaijit Bhattacharya, partner, infrastructure and government services at KPMG India. The Indira Gandhi International Airport, just half an hour’s drive from Gurgaon, has helped it emerge as an important corporate and information technology centre. International clients of the IT and finance sectors find this convenient; equally so, the officials of foreign corporates that have set up manufacturing units here. “Mumbai is so overcrowded that it has no physical infrastructure available; moreover, the cost of land is quite high. It is driving businessmen away to NCR,” says Koteshwar Dobhal, a PR consultant of PHD Chamber of Commerce and Industry. Today, while much of hinterland Haryana remains largely agricultural, Gurgaon and areas near Delhi have thriving automobile, electronics and handloom industries. Motorcycle and two-wheeler makers too have their units here. It is also one of the key manufacturing hubs of the $7 billion auto-components industry. Alwar district in Rajasthan, which is part of the NCR, has Honda’s car and two-wheeler making units in Tapukara and Hero’s two-wheeler unit in Neemrana. There are tractor-making and bus-assembly units near Alwar town. Otherwise, Rajasthan is more focused on marble, leather and textile units. The NCR has equally derived leverage from software companies – coding, web development, networking, enterprise resource planning (ERP), document management systems, and online office automation. Projections by NASSCOM indicate that a coordinated action plan involving government and industry can assist the software industry in Delhi NCR to grow at an accelerated pace to achieve an annual turnover of Rs 450 billion. Analysis shows that the tertiary sector – communications, transport, financial services, real estate and other business-related services – has contributed hugely to the NCR success story. According to the NCR Planning Board report, analysis of sectoral growth reveals that the contribution of the primary sector was two-thirds of the NCR’s GDP in 2007-08. This was followed by the secondary sector, at 25 percent and the rest was with the primary sector. Experts say it has been growing since. The shift in the sectoral composition of the NCR economy is related to rapid urbanisation and the consequent reduction in agriculture and related activities. The fast-paced growth of industries has opened a world of employment opportunities for the lower middle class, the middle class and the rich. From engineers to content analysts, financial consultants to retail workers and supermarket assistants, Delhi NCR is the most buzzing city in terms of providing employment. An Assocham study has found that Delhi NCR emerged as the leader in creating jobs during the fourth quarter of the last fiscal (2015-16), generating over 2.6 lakh new jobs while a total of 8.5 lakh jobs were created in eight major cities. This was followed by Bengaluru (1.9 lakh), Mumbai (1.5 lakh), Chennai (82,000) and Hyderabad (60,000). These top five cities accounted for 88.9 percent of the job openings across India. Though Mumbai still attracts job-seekers, housing and commute are a major problem. Things have come to such a pass that Mumbai-based professionals in their 30s and 40s are moving to Delhi NCR and other cities. “Bombay is so crowded, it is so cramped, your life completely reaches a standstill. The housing is also quite expensive. Most of your money goes into your rent unless you earn a bomb. And commutes are so long. We were very frustrated,” says Sanjukta Saxena who moved to Noida with her husband and found a better job. She now works with an IT consultancy. IT-enabled services and IT hardware have contributed 60.6 percent of the new jobs, according to an Assocham study of July. The services sector, ranked second, is way behind at 17.6 percent, followed by manufacturing (9.4 percent), banking, financial services and insurance (7.6 percent) and construction and real estate (3.2 percent). “The NCR has opened a plethora of opportunities. One reason Delhi sees maximum migration is the vast job opportunities here,” says Dobhal, of PHD Chamber of Commerce and Industry. Delhi NCR offers cheap skilled labour. This allows industries to invest in manufacturing and keep cost of production low. “The availability of cheap skilled labour in Delhi NCR is a great benefit to manufacturing companies and industrial units. This is not possible in Mumbai; like costly land, the labour too is expensive,” says Yadav. Small units, too, draw a lot of unskilled workers into employment. There are garment and furniture units, electrical machine units and repair services. Between 2000 and 2011, the strongest growth has been recorded in Uttar Pradesh and to the southwest in Haryana. Delhi has also become the main centre for various service providers. The 2011 Wealth Report ranked Delhi at 37th globally. In terms of economic activity, Delhi (ranked 39th globally) is above cities like Jakarta and Johannesburg. The prognosis was for Delhi to continue moving up the ranks over the next decade. Moving towards the fringes of Gurgaon, one comes to Khekri Daula, a village that has now enriched itself in real estate, providing extra room for million-strong Millenium City that continues to expand. Once a farmland, amidst vast tracts of scrub, the area is seeing the construction of several high-rise commercial and residential buildings. Real estate growth, that started about a decade ago, continues. Among the first companies to recognise the potential for Delhi and NCR was Delhi Land and Finance (DLF). The company, started by Chaudhary Raghvendra Singh, an army officer from a politically connected family, bought its first piece of land in the 1980s. At that time, the company was being run by Singh’s son-in-law Kushal Pal Singh, who used those connections to expand their business, obtaining permission to develop the plot. A year later, DLF became the first company in NCR to receive a licence to develop a 40-acre plot in what is now known as DLF city. By 1983, DLF was granted permission to develop 556 acres in Dundahera village, near which the IGI Airport came up. Then, many other real estate developers rushed in. Demand for housing, too, has grown heavily and through tie-ups with banking institutions, realtors have been able to profit by finding enough customers. Arrangements are being made even for housing the economically weaker sections (EWS) and lower-income groups (LIG). 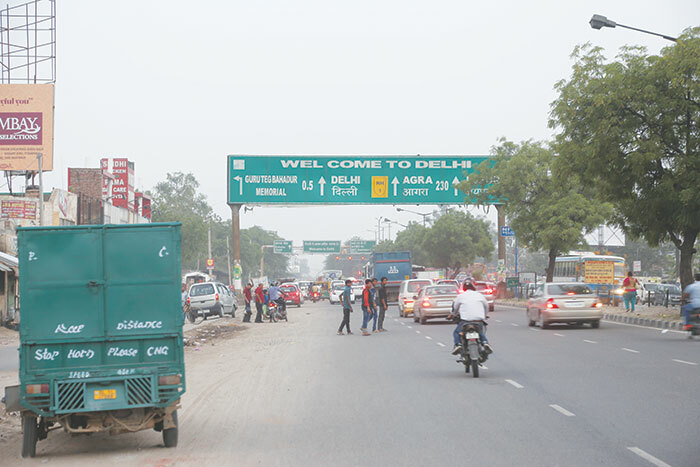 If there is one factor that makes living in Delhi NCR affordable for the lower middle-class, it is the presence of urban villages – villages that Delhi absorbed as it grew. Kalu Sarai, Mahipalpur, Chirag Delhi, Tughlakabad, Chhattarpur, Kilokri, Khirki and Masudpur – these and many others are villages where original residents have converted old homes into apartments that are let out to students, first-jobbers, plumbers, electricians, service sector employees like waiters and hair-dressers. These are right within the city, and hence connectivity is not a problem. 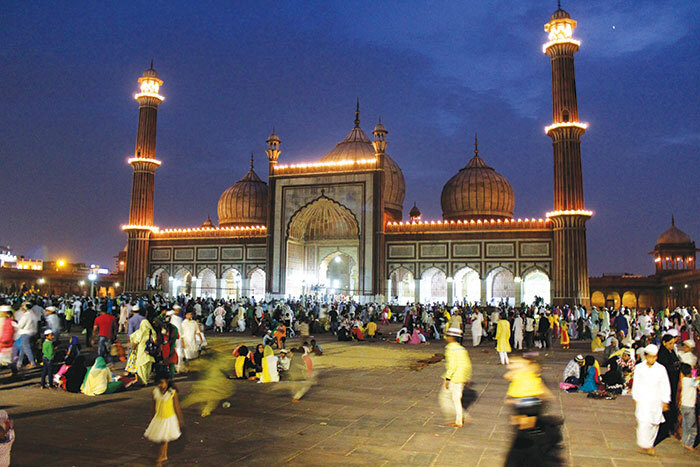 Mehrauli, for instance, is in south Delhi and has two metro stations nearby – the Qutub Minar station and the Chhattarpur station. Gurgaon is half an hour’s drive away, and hardly 20 minutes by the metro. Getting to Noida can be a bit of a hassle, involving a metro change at Rajiv Chowk, but it will get you there in good time. “Affordable housing is a major issue in Mumbai, but it’s not a problem in Delhi,” says Yadav. As Sanjukta, who moved to Delhi from Mumbai found out: from a cramped 2-BHK apartment in Goregaon, she now lives in a spacious house with amenities like a swimming pool, gym and park, all in the colony. And the rent is cheaper. Delhiites complain about the huge pressure on existing transport facilities across the NCR. But despite the unreliable public transport, if Delhi has something to be proud of it is the metro, built efficiently and slowly expanding to cover all parts of the capital. Already, it connects Delhi to Noida, Ghaziabad, Gurgaon and Faridabad. Daily ridership is 2.6 million, and there are some 160 stations. The first metro line was opened in 2002, and runs from Dilshad Garden in the east to Rithala on the western outskirts. The ‘yellow line’, from north to south, connects Samaypur Badli to Huda City Centre in Gurgaon. 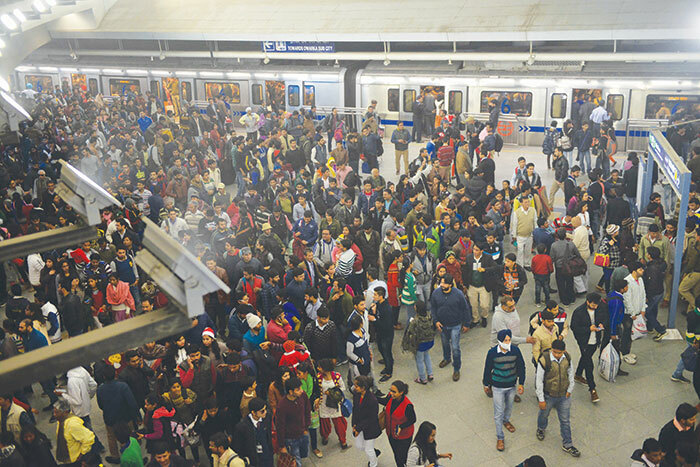 The Delhi Metro Rail Corporation’s (DMRC’s) figure for December 2015 says the average daily ridership at the Huda City Centre metro station is 52,000. Partly underground and mostly elevated, the ‘blue line’ was the third to open, connecting Dwarka in the west with the satellite city of Noida in the east. Similarly, the ‘violet line’ connects the central Delhi’s ITO to Faridabad, reducing the daily commute by private vehicles to industrial areas like Ballabhgarh. A short link between Botanical Garden in Noida and the Kalindi Kunj metro station is now under construction. This will provide a vital link between south Delhi and Noida, and allow people in south Delhi to avoid the trip to central Delhi before they change metros to reach Noida. Another proposed link is between Dilshad Garden and New Bus Depot, in Ghaziabad. This will benefit thousands of residents of Mohan Nagar, Arthala and Hindon. A 29.7 km line connecting Noida to Greater Noida and a 6.7 km line from Noida City Centre to Noida Sector 62 are also planned. “The metro has been a blessing for everyone in the city. It is hard to imagine life in Delhi NCR without the metro, especially during office hours. It has also proved a real support for realty market, moulding the business in a huge manner,” Sarkar says. Every time a new metro corridor is proposed, property rates go up. Construction of expressways, investments in roads and other infrastructure, such as Delhi-Mumbai Industrial Corridor with a dedicated freight corridor, creation of SEZs and so on are expected to increase the economic activity within the NCR. Heavy traffic and a metro that’s chock-full during peak hours are things people of Delhi have already started complaining against. Equally, the horrific pollution, that leaves people choking and causes respiratory diseases. Bus transport from Delhi to Gurgaon and Faridabad is almost non-existent, and people are forced to rely on private vehicles – cars for those who can afford and two-wheelers for the rest. This only adds to the pollution, and combined with Delhi’s bitter winter causes smog that often lasts for days. During the rains, several underpasses get flooded and vehicles get stranded for hours. Transport planners say that while the metro expanded along with commercial growth, the focus has completely been taken off providing other modes of transport. “That is a major flaw of transport planning in Delhi NCR. There is an urgent need for a good alternative to the metro,” says Sarkar. Haphazard planning, he fears, will result in huge commotions on the streets and metros. As in other big cities, crime is on the rise and women’s safety is a major issue. Class conflicts, the erosion of identities and the absence of spaces and forums where there is a possibility of people from different classes to interact and understand each other are also a contributor to Delhi’s travails. Due to massive growth in the industrial and service sectors, Gurgaon and Noida are soon expected to reach a saturation point. But other areas included in Delhi NCR lag behind. Former secretary of urban development Sudhir Krishna says that development is yet to reach the Alwar district in Rajasthan. “While you see massive growth in Gurgaon and Noida, other towns within the NCR have faced neglect. With the speed at which the NCR is growing, we need to ensure growth in other satellite towns before Gurgaon and Noida reach a saturation point,” he says. Otherwise, it could be disastrous. When Chashme Buddoor was made in 1981, people had found it unusual that a Bollywood film was set in Delhi. But in the last three decades, quite a few movies (and books, such as Arvind Adiga’s The White Tiger) have Delhi as a setting, indicating how the bustle and angst of the city have caught the eye of artists. Films like Rang De Basanti, Vicky Donor, Delhi-6, Dev D, Piku, Delhi Belly, No One Killed Jessica... the list goes on. In Aisha, Sonam Kapoor and her friends walk into DLF Emporio mall, and blisfully shop at Dior, and scenes like this have captured the mall and multiplex culture of Delhi the way movies of one time did life in Bombay. It might be no surprise then that one of the earliest multiplexes to come up was PVR in Saket, south Delhi. Then came the numerous malls, for which Delhi, Gurgaon, Faridabad, Ghaziabad and Nodia became famous. It’s not as if this was not happening in other cities, but in a way, it was the ones in Delhi NCR that set the trend. Cricket, another indicator of popular culture, has also reflected the rise of Delhi against the backdrop of the fall of Mumbai. The age of Sunil Gavaskar and Sachin Tendulkar has given way to the days of Virat Kohli and other boys from west Delhi. So far, Delhi has kept ahead and grown, and that growth is praiseworthy. But if its many problems are not addressed, they might overwhelm the system.